Maruyama M, et al. (2013) Imaging of tau pathology in a tauopathy mouse model and in Alzheimer patients compared to normal controls. Neuron 79:1094-1108. 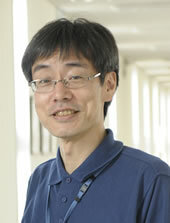 Yoshiyama Y, et al. (2007) Synapse loss and microglial activation precede tangles in a P301S tauopathy mouse model. Neuron 53:337-351. Maeda J, et al. (2007) Longitudinal, quantitative assessment of amyloid, neuroinflammation and anti-amyloid treatment in a living mouse model of Alzheimer’s disease enabled by positron emission tomography. J Neurosci 27:10957-10968. Ji B, et al. (2008) Imaging of peripheral benzodiazepine receptor expression as biomarkers of detrimental versus beneficial glial responses in mouse models of Alzheimer’s disease and other CNS pathologies. J Neurosci 28:12255-12267. Maeda J, et al. (2011) In vivo positron emission tomographic imaging of glial responses to amyloid-b and tau pathologies in mouse models of Alzheimer’s disease and related disorders. J Neurosci 31:4720-4730. Higuchi M, et al. 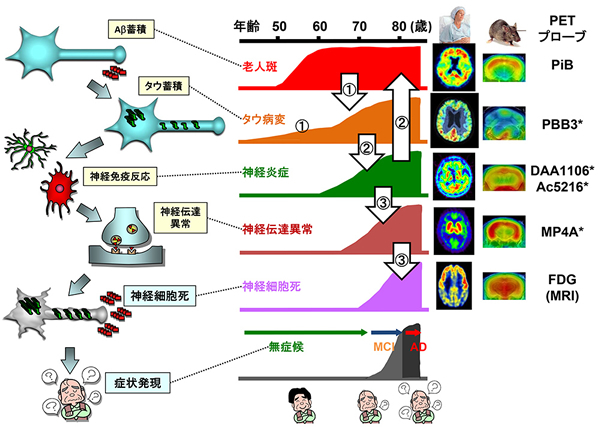 (2012) Mechanistic involvement of the calpain-calpastatin system in Alzheimer neuropathology. FASEB J 26:1204-1217. Tokunaga M, et al. (2009) Neuroimaging and physiological evidence for involvement of glutamatergic transmission in regulation of the striatal dopaminergic system. J Neurosci 29:1887-1896.